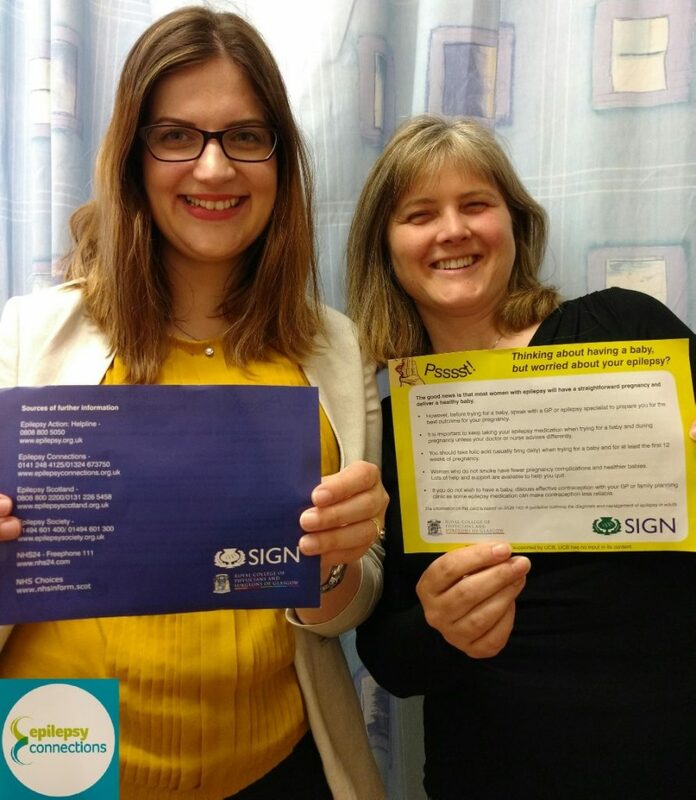 Dr Linda Stephen (right) & Epilepsy Connections Fieldworker Barbora Jones take time out from clinic to celebrate the national roll out of a project to help women enjoy healthier pregnancies. Epilepsy Consortium Scotland were pleased to highlight this issue at a recent Cross Party Group meeting held at Holyrood on Thursday 25th January 2018. Preconceptual counselling of women with epilepsy and improving their care during pregnancy is an important issue and Associate Specialist Dr Linda Stephen led the epilepsy SIGN Guidelines subgroup which created a new chapter on this subject and continues to work towards its implementation.